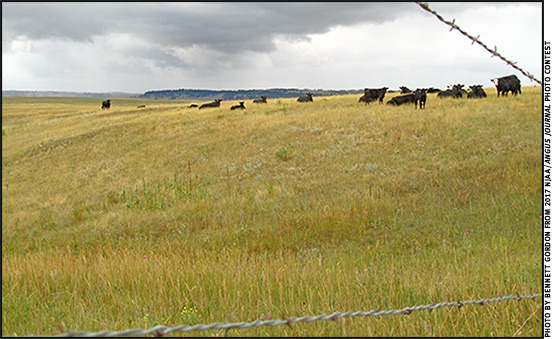 Farmers and ranchers seek forage options as drought cuts grass growth. A shortage of forage is forcing some cow herd owners to chop trees to feed leaves, a method that was used in big droughts of the 1930s and 1950s. Damage to pastures comes from more than an intense drought, said Craig Roberts, University of Missouri (MU) forage specialist in a weekly teleconference. The forage shortages started with dry weather last fall, said Roberts. Pastures were short then and hay harvest low. When bales ran out, herd owners turned cows out to pastures that had not grown many leaves. Winter overgrazing grubbed pastures down, and cattle ate the tillers needed for regrowth. Grass that grew this spring is long on seed stalks and short on leaves. When baled for hay, that grass can be low-energy fiber, not nutrition. It may also be toxic. “This is a year for ammoniation,” Roberts said. That requires covering stacks of low-quality hay bales with plastic. Then anhydrous ammonia is leaked into the stack. Over time the gaseous nitrogen normally used for fertilizer breaks down cell-wall fiber. This releases digestible nutrients and lowers toxins in fescue hay. The gas process used in recent droughts improved cattle feed. Some farmers asked about cutting small shrubs and baling them for forage. “This definitely needs ammoniation. Also, beware of poisonous plants,” Roberts warned. The night before the teleconference, rains fell across most of the state, but were spotty. Some areas received 2 inches. Others got a trace or less. Spotty thunderstorms are a result of a high-pressure dome stalled over the state, said Pat Guinan, MU Extension climatologist. Weather disturbances travel along the dome edge, giving more rainfall chances. Inside the dome, isolated high-energy thunderheads drop intense rains. The long-range forecast calls for the dome to move eastward, Guinan said. That could bring more rains as high pressure moves out. June 9, big rains fell over Iowa into Illinois. Strong storms brought crop-destroying hail to some areas. Valerie Tate, MU agronomist at Linneus, said a storm in Linn County was about a quarter-mile wide and 5 miles long. Corn and soybean crops were shattered. Crop scouts see unusual developments of corn and soybean crops. Some soybean plants, only a few inches tall, carry blooms already. Bill Wiebold, MU soybean specialist, said he has seen plants with only three trifoliate leaves in bloom. High heat slows internode growth. The plants won’t grow tall, but they can set pods. Early blooms shut down use of several post-emergence herbicides. Herbicide labels indicate stages of growth that stop use. Some growers may not realize soybean fields are blooming. Some corn has shot up nearing reproductive stage in the hot weather. That’s weeks ahead of normal. Other corn and soybean seed planted in dry soil hasn’t germinated or emerged. One specialist reported crusted soil stopped corn emergence. Ranges in crop development can be extreme. More problems may come. “Drought brings grasshoppers,” Roberts said. Farmers with unusual crop conditions can seek help at their local Extension center. Optimal Milk Module | Angus Beef Bulletin® | Angus Genetics Inc.